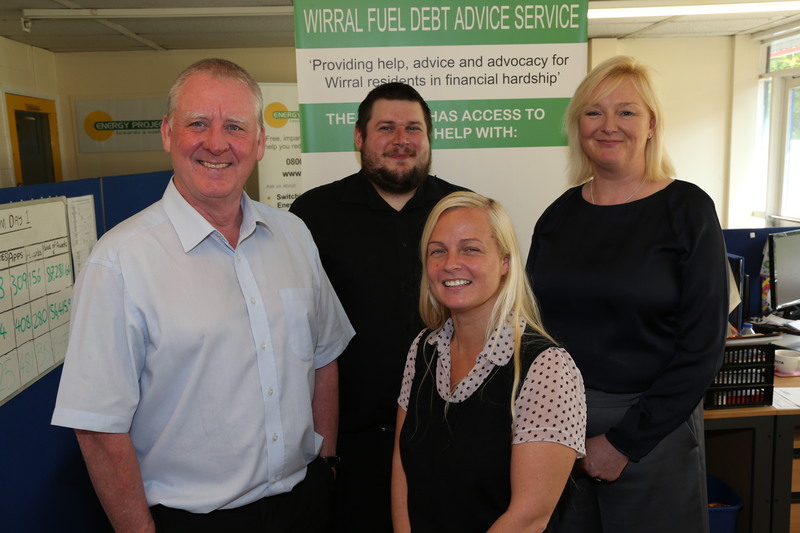 We provide free and impartial fuel debt advice to residents that live on Wirral, helping eligible clients to obtain grants to pay off debt on energy bills and additionally we can help eligible families and individuals pay for funeral expenses and install white goods in clients’ homes. The service is funded by the British Gas Energy Trust, which is dedicated to relieving those living in poverty and aims to financially assist those struggling to pay their gas and electric bills. Residents that live on the Wirral and who have significant fuel debts and other financial concerns can receive help from this project to assist them in clearing their fuel debt through a funded grants scheme. Our help through grants exceeds just paying off energy bills and we have numerous success stories where we have helped families and individuals pay for funeral expenses and installed white goods in clients’ homes. Our fuel debt advisors will also carry out a benefits check with the clients and will refer them directly to the Welfare Rights Unit if a client can be helped to maximise their income. This provides vital support to try and keep the client from falling further into fuel poverty. Clients can contact the Wirral Fuel Debt Advice Service directly, or they can be referred to us by one of our partner organisations. Our advisors will invite clients in for a one-one interview or do a home visit to get to know the client and to see if they are applicable for a grant. If we think our clients have a relevant case and are in genuine need of help, or we believe to be eligible for a grant, we will then go forward with submitting quality applications to the Trust on their behalf. The application can take approximately 12 weeks to process and our advisors will be on hand to assist clients every step of the way. We ensure that our clients are given energy efficiency advice that will help keep their fuel costs down at a more affordable rate to prevent clients falling back into fuel debt. In its first six months Wirral Fuel Debt Advice Service cleared a total of £43,355.64 off our clients’ fuel bills through applications to the British Gas Energy Trust. We have also cleared £6,555.00 by challenging incorrect bills on behalf of clients. One client received £6,240 in grants from the project. Through Further Assistance Payments we assisted three clients with funeral arrears, three with replacement boilers, and twelve with white goods.